Time for some inspiration at STAMPlorations, and today we're spotlighting Deepti's stamps. Normally the featured designer's stamps would be discounted for seven days, but as STAMPlorations is approaching its 4th birthday, ALL stamps will be 15% off - and if you use my code STAMPGIRLSHIRLEY you'll get a further 20% off. I did some no-line colouring for this card (Best Mom Ever). Stamped it in Memento Desert Sand, then started colouring with watercolour paints, then added detail with Distress Markers. 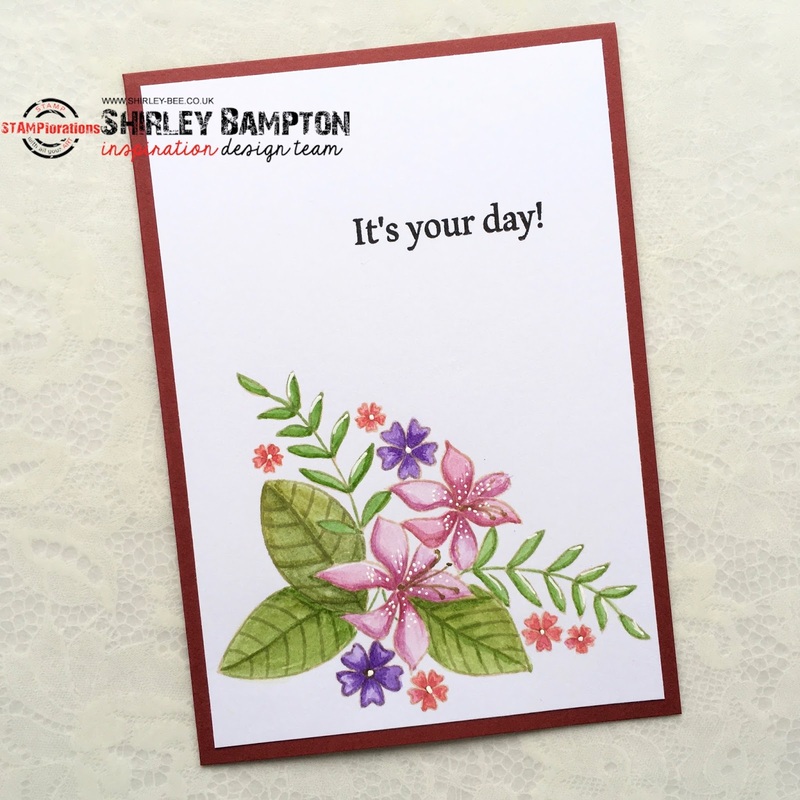 Pop on over to the STAMPlorations blog for some more fabulous inspiration from the Design Team, and don't forget to leave a comment there for your chance to win a gift voucher to the store. Holy cow, this is BEAUTIFUL!!! Great colors and coloring! Simply Beautiful CAS design that really shows off your pretty floral arrangement. TFS Shirley. Hugs.. The flowers have so much depth. Wow! Awesome coloring....the flowers look real enough to put in a vase of water! Tons of white space - love it! Gorgeous card...love your sweet flowers.